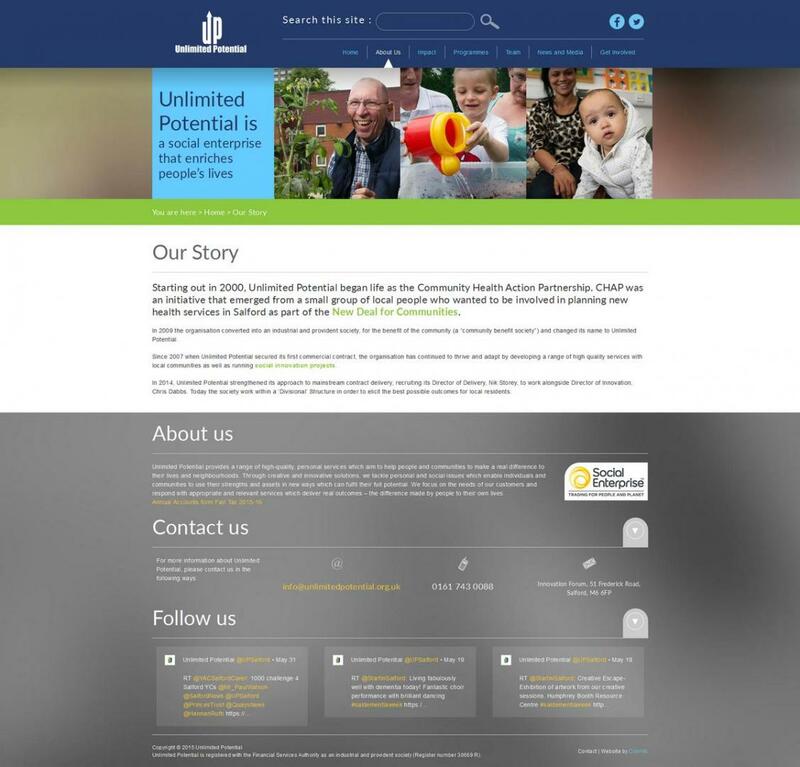 Unlimited Potential provides a range of high-quality, personal services which aim to help people and communities to make a real difference to their lives and neighbourhoods. 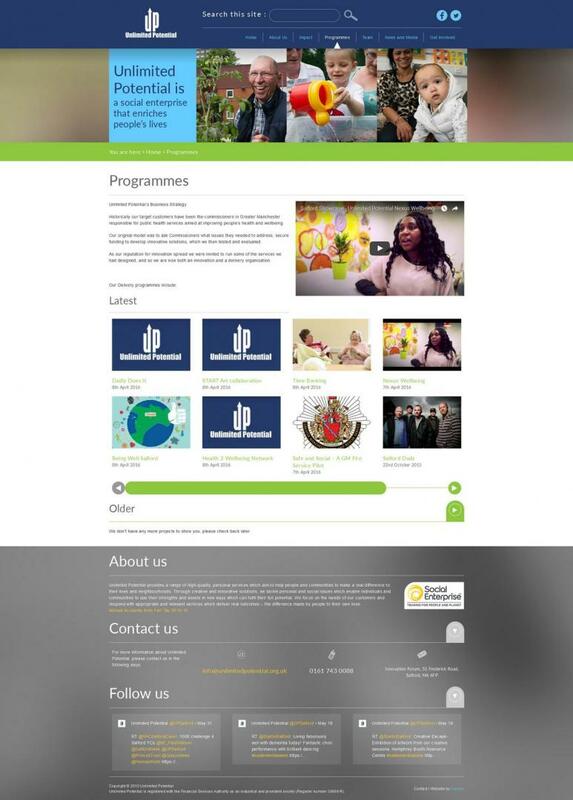 Through creative and innovative solutions, they tackle personal and social issues which enable individuals and communities to use their strengths and assets in new ways which can fulfil their full potential. 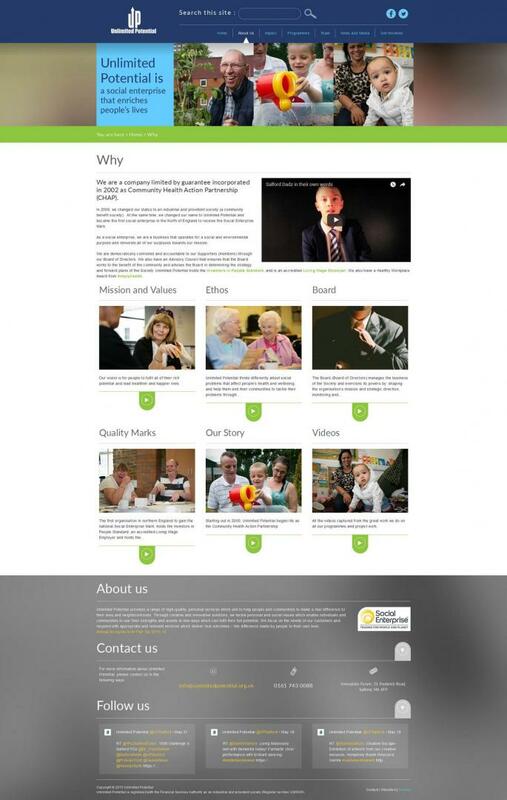 Unlimited Potential focus on the needs of our customers and respond with appropriate and relevant services which deliver real outcomes – the difference made by people to their own lives. 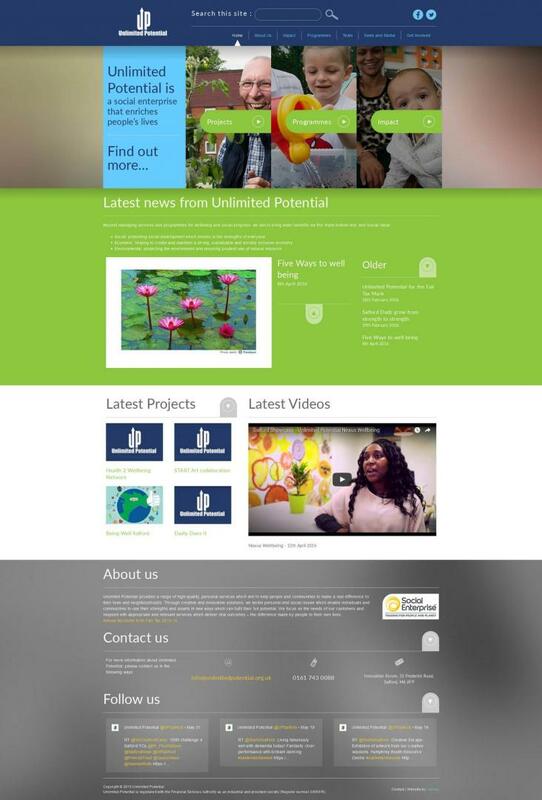 Unlimited Potential came to Cosmic requiring a new, modern website to replace their outdated one. It needed to be responsive to that users browsing on a mobile or tablet device can read their content effortlessly, as well as looking attractive. 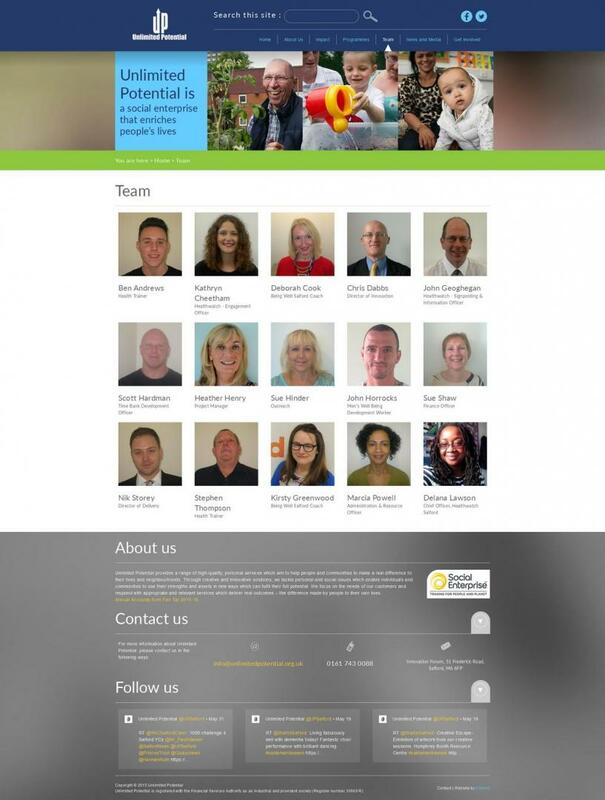 The website features a variety of different content types, such as dated news articles, delivery programmes and more, as well as pages to show their services, team and history. There is also a contact form and contact information should a user want to get in touch with the Unlimited Potential team.